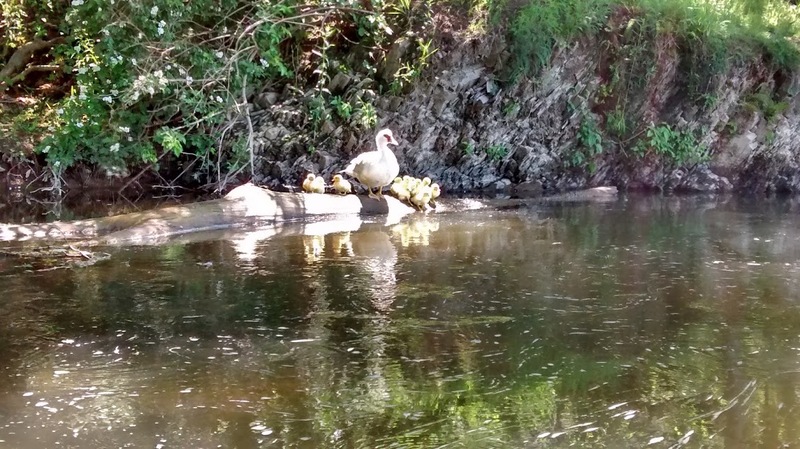 Duck family at the side of the creek. I took this picture last Saturday while kayaking. I was amazed that the ducks allowed me to get so close, but soon realized that the ducklings probably could not get away very fast and mama was not likely to abandon them. One of the things I like most about this picture is the reflection. You can see the ducks and the shoreline in the reflection. In fact, you can see more of the shoreline in the reflection than at the top of the image.